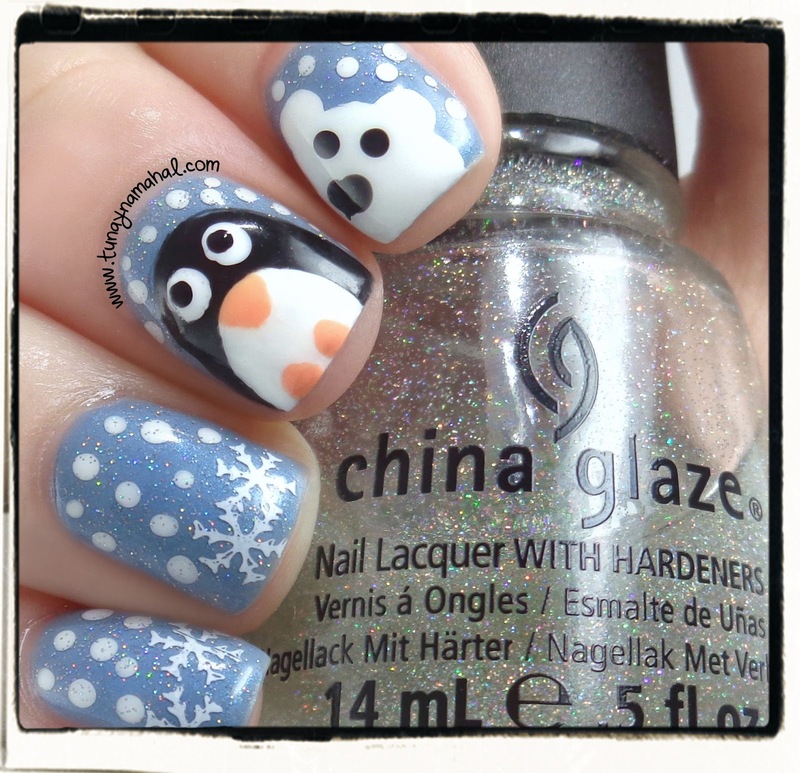 Polar Bears, and Penguins... Oh My! If you know me, I don't normally do free hand nail art, I usually stamp. But since I got a new brush set, I thought I would attempt some free hand. I have been seeing these cute holiday polar bears, and penguins on Facebook and Instagram a lot lately- so I decided to try my hand at them too. (There are quite a few tutorials online, or on youtube). I started with a base of Nubar Rockin' The Garden. (Very sheer polish... opaque in 3-4 coats.) 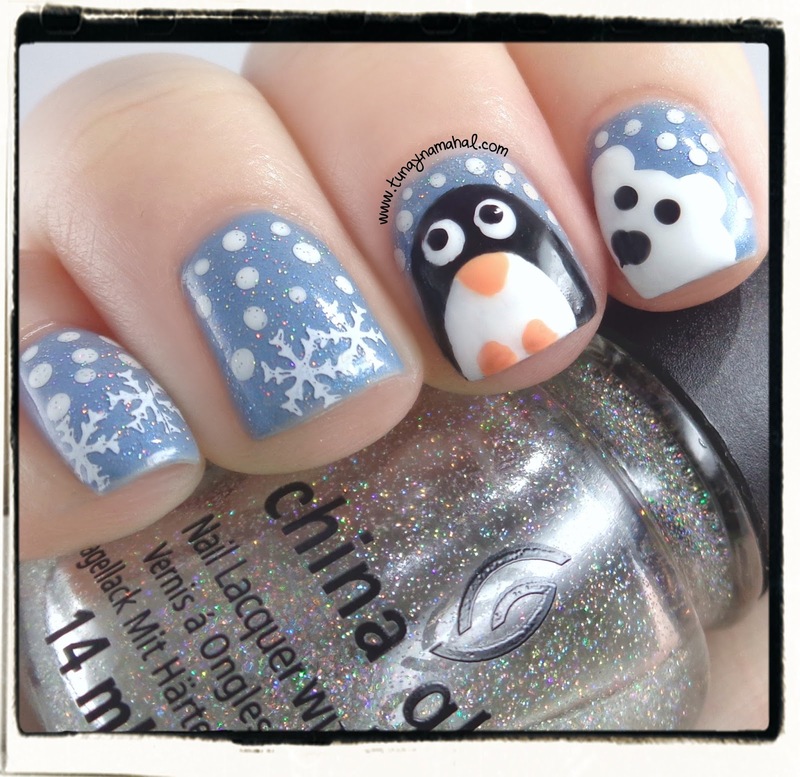 For the white I used OPI Alpine Snow. The black is Zoya Willa, the orange is Zoya Cole. I also fairy dusted the "snow", to add a more festive touch. I also used Seche Vite topcoat. For the nail art, I used my brush set, and dotting tool that I purchased myself awhile ago from the Born Pretty Store. For the stamped snowflakes, I used stamp plate QA19 that the Born Pretty Store sent me for review. It kind of looks like Mr. Polar Bear is checking out the Penguin there, huh? (Coupon is not valid on items already marked on sale).